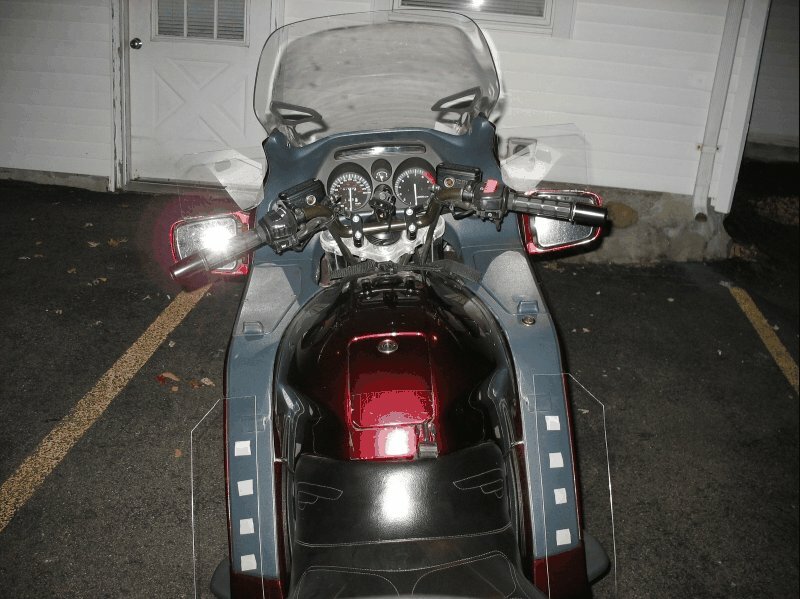 I wanted some temporary wind deflectors for my 3600 mile ride to Key West and back to New England in chilly October (I leave this Friday). So here’s a brief write up of how I saved money by making my own using a shoestring budget, elbow grease, and 1 hour. Stopped at Lowe's and picked up about 10 dollars in supplies. * Cheap plain ceramic tiles. Plus tools I already own. First you make the part out of cardboard before any cutting is done. Then trace your cardboard design on the piece. 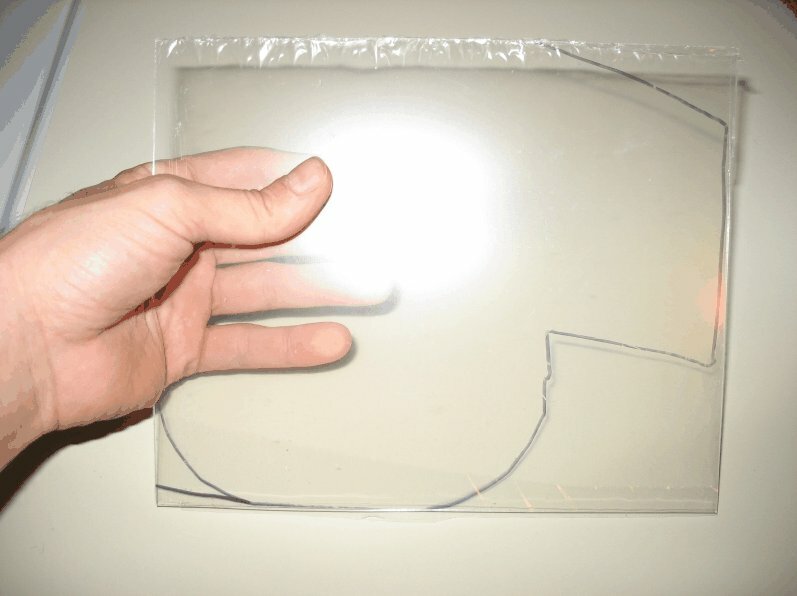 Score the Plexiglas® and break it to the desired size. 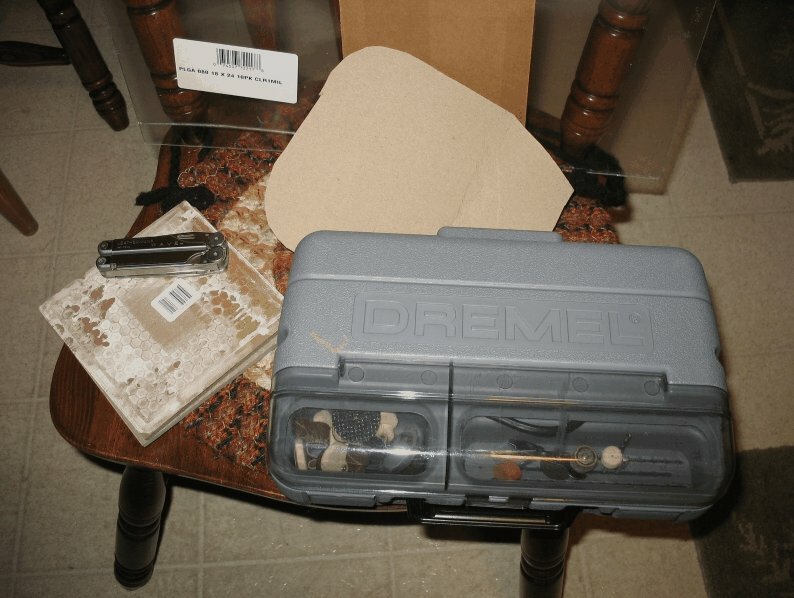 Now you can use the Dremel® tool to carve the shape out of the Plexiglass®. Once the piece is cut out, you can bend it to the right angle. 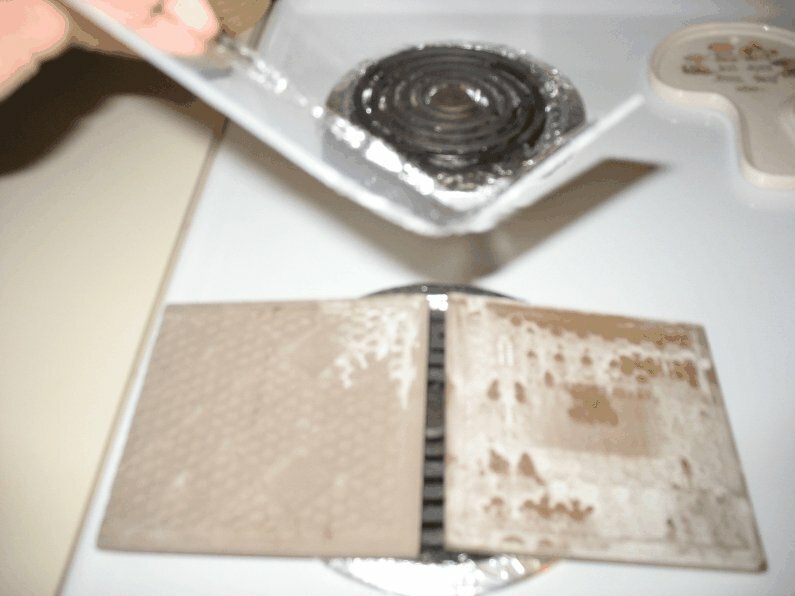 I bought 2 cheap pieces of plain tile and placed them a inch apart on top of a burner. A wider gap makes a rounder bend. 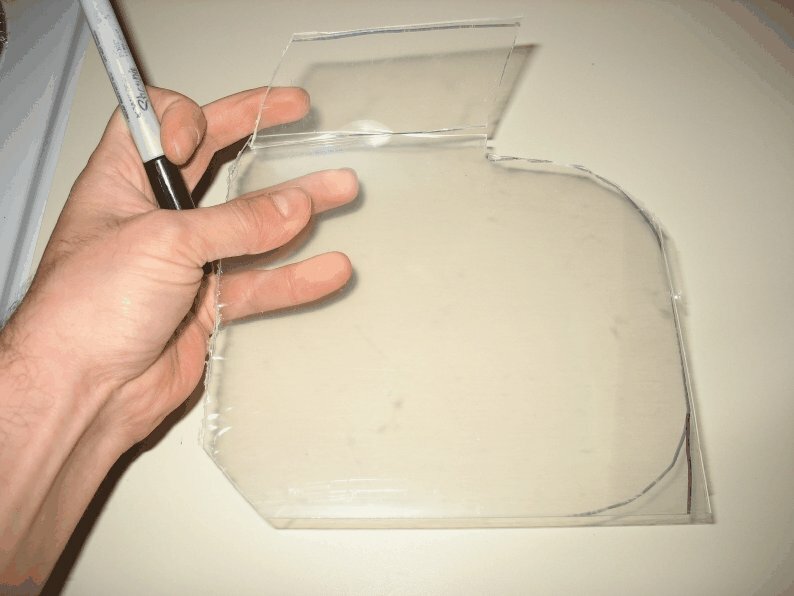 Turn the burner to just past medium and hold the plexiglass close till it becomes pliable over the gap. Then gently bend to just past the desired angle, it will relax to the angle you want as it cools. WARNING: use safety protection, ceramic tiles may explode if they have a bubble hidden in them. WARNING: I am told glazed tile emit lead when heated, so use Unglazed Quarry Tile (Look for Fireclay brand, or "All natural clay and shale" or "Lead-Free"). Tip: Cool pieces in fridge before removing protective plastic film, it will come off a lot easier. Tip: Remember to bend the left and the right side in opposite directions. 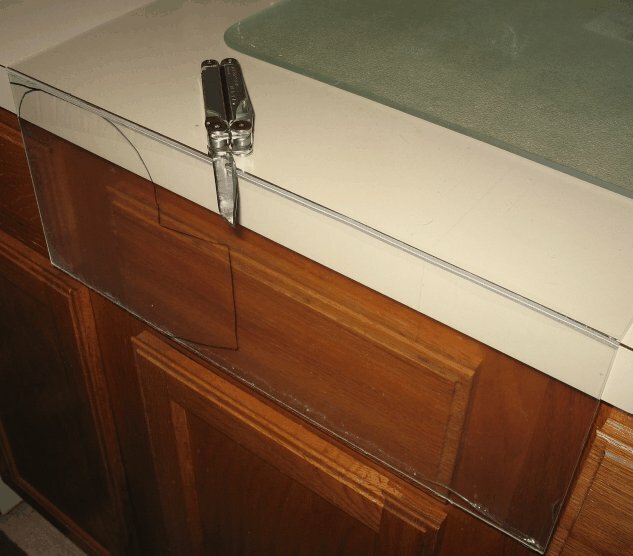 Plexiglass® is fragile, careful you do not bend too far, or you will have to restart like I did. Now affix the double sided sticky foam to the piece. NOTE: The pieces installed over the mirrors to deflect the wind that would otherwise beat down on my fingers. 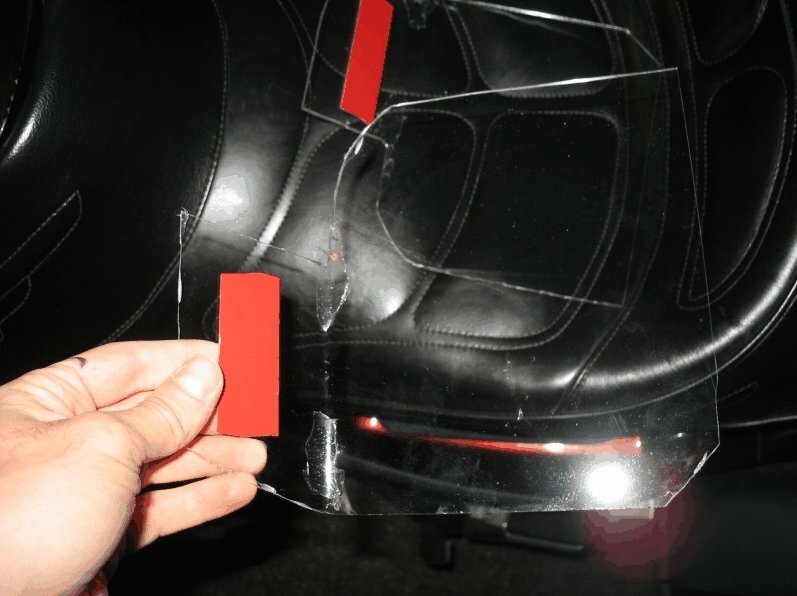 The pieces easily slip between the mirror and the mirror cover. They are too thin to be permanent, a curious passerby could snap them off with little effort. I also threw on a couple simple shin guards. Should you wish for a little more longevity, I would make them using Lexan. It is twice as hard to break, bend, and cut. But should last the life of the bike. I would definitely remake them with better material next time. Probably Lexan®. But I was covered head to toe with gear, so if they shattered it would not phase me. They held up, except when turning around in a dark parking lot in Florida I was surprised to find out it was not a parking lot, but a field of smooth beach sand gobbling my front wheel. Quick reaction sprung my legs out and saved my bike but my leg hit the right shin shield and broke the corner off, so 45 degree them next time. Also, I am very glad I had them because the last day of the trip it hit zero degrees outside all the way from NY to Eastern MA. Burrr! So much pain, buying heated gloves before the fall, and that's a promise.